Why is Smoking Bad for Your Heart? Category Archives for "Heart Health"
The term “green juice” can actually refer to a wide range of vegetables processed through a juice or blender to transform the solids into a smoother liquid. Though spinach and kale are among the most common options, it can also include Romaine lettuce, cucumbers, wheat grass broccoli, bitter melon and many others. The emphasis on green produce comes from the fact that many of these items carry different types of essential nutrients and vitamins than options on the other side of the food color spectrum, such as iron, Vitamin K, and antioxidants. In addition, greens with a darker color, such as kale, also commonly have higher levels of these nutrients than the lighter green vegetables, such as iceberg lettuce, making them ideal candidates for a healthy diet. Juicing is simply a more convenient way to introduce the foods into your diet, as many juices also include other, more palatable ingredients such as fruits and similar sweeter fare. The specific benefits of drinking green juice depend on the ingredients. For example, a juice made primarily of kale delivers a high dose of iron, approximately 1mg per cup compared to 0.4mg per cup of cabbage, according to the USDA. Iron in particular is essential to developing a healthy heart because it is a key element in creating hemoglobin, which is a component found within red blood cells that aids the distribution of oxygen throughout the body. If the body does not have enough iron to properly carry oxygen molecules out of the lungs, it cannot function properly and will eventually start to break down, leaving you feeling fatigued. Overworking your body means overworking your heart, which eventually leads to a weakening of the muscle that can result in heart disease or other ailments. Another way green juice helps keep your hearth healthy is by introducing antioxidants into the system, which carry a wide range of health benefits overall. In terms of the heart, antioxidants help to restore damage that comes from daily activity, strengthening the walls of your heart over time and allowing it to function more efficiently. Many green juices also feature vitamins that help keep the heart pumping properly and strongly. Similarly, the nutrients and minerals in the juices can help improve circulation by expanding the blood vessels and lowering blood pressure, which allows the blood to flow more smoothly throughout your body. Green juices also help introduce fiber into your diet, which are essential to a healthy heart because they can lower blood cholesterol levels. High cholesterol causes the heart to work harder than it needs to pump blood through your body because it literally blocks the passageways in the circulatory system. Overworking the heart, combined with the lack of oxygen and buildup of toxins due to poor blood flow, can result in a heart attack or similar issues. 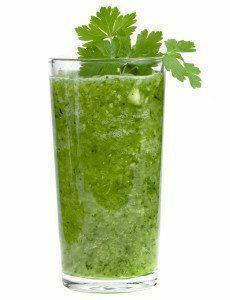 The fiber in the green juices helps ensure proper blood flow and thus keeps your heart and body functioning normally. Fiber also helps combat other conditions that can lead to heart disease, such as obesity or diabetes, offering an additional layer of healthfulness. Green juice is low in calories and makes a great addition to a sensible low calorie diet in support of a healthy weight, which in turn realty benefits heart health as both obesity and overweight are two of the biggest contributors to heart disease, heart attack, and premature death. Regardless of the types of vegetables, you put in the juice or how often you drink them; they are most effective when combined with regular exercise and an overall balanced diet. Walking is one of the easiest exercises to enjoy, suitable for all ages and fitness levels. It is low-impact, which will protect bones and joint, but it is also a valuable aerobic activity that can improve your heart health. Aerobic exercise raises you heart rate, giving your heart, the most important muscle in your body, a good work out. This will keep it pumping regularly and efficiently. Walking increases your breathing and intake of oxygen. It boost blood circulation as well, which means your heart is able to distribute more oxygen-rich blood and nutrients to your body from top to toe. Better circulation means lower blood pressure. It also means lower cholesterol, which means fewer clogged arteries and less risk of coronary artery disease (CAD), that is, blockage of one or more arteries that supply the heart tissue with life-giving oxygen. Less risk of CAD means less risk of heart attack. Walking burns calories, builds lean muscle, boosts metabolism, and reduces body fat. Less weight and body fat will often mean lower cholesterol and less wear and tear on your heart and body generally. If you want to start a walking program for your heart health, your first step is to check in with your doctor. If haven’t visited the doctor in the past year, make an appointment for a complete physical. If you have seen them recently, find out what your blood pressure, cholesterol and other readings were. Note these down in a walking journal you should start to help you keep track of your goals and progress towards them. Next, explain to your doctor that you want to start a walking program. Given the overall state of your health, ask if there are any special guidelines you should follow. Add a couple of hundred steps to your regular daily routine rather than trying to do 10,000 overnight. Observe proper form in terms of posture and stride. Chin up, chest out, and strike your heel first on the ground and allow your foot to roll up towards the ball and toes. Don’t forget to warm up and cool down. Stretch before and after each session. Walk at a slower pace at the start and end, and speed up in the middle. Use a pedometer to log your steps. It will keep you on target for your 10,000. Hypertension is the clinical term for high blood pressure. What is high blood pressure (HBP) exactly, and why is it so dangerous for your heart health? Normal blood pressure is defined as 120/80, so anything higher that than should be dealt with through natural means in the first instance, and medication if the natural means are still not enough to bring it down to normal. The higher number (systolic) of the blood pressure reading is the pressure in the arteries when the heart is beating. The lower number (diastolic) is the pressure in the arteries when the heart is not beating. High blood pressure is the result of an increase in the resistance of blood flow through the blood vessels due to the blood vessels being more narrowed and constricted than normal. This can happen for a number of reasons. Smoking, drinking alcohol, and stress, can all constrict blood flow at various stages. The more often this happens, the more the arteries will begin to harden. Chronic narrowing is due to arteriosclerosis, that is, a buildup on the artery walls of plaque. The plaque is formed by cholesterol, specifically, the VLDL (Very Low Density Lipoprotein [fatty protein]) and LDL, Low Density Lipoprotein kinds of cholesterol. The narrowing of the blood vessel is called stenosis. The greater degree of stenosis, the harder the heart has to work to pump oxygen-rich blood to all parts of the body to keep the tissue healthy. Over time, the heart will become damaged, leading to heart failure, if the HBP is not treated. HBP can also lead to damage to your blood vessels, kidneys, and eyes. It can also lead to heart attack and stroke. but the good news is that many of the causes are due to lifestyle choices, and as such can be modified. If making healthier choices is still not enough, there are a range of effective medications to help lower blood pressure safely. Work on one or two of these changes, monitor your blood pressure regularly (invest in a cheap home monitor if you have very high blood pressure) and see what a difference it can make to your health. Most people know that smoking tobacco is bad for their health. It’s been linked to lung cancer and severe respiratory issues. It also has a significant impact on your heart health. There are several reasons for this. Cigarette smoke contains so many chemicals in it (about 400), so anyone who is exposed to it, even second-hand, can suffer harm. Two of the most dangerous chemicals are nicotine and carbon monoxide. Nicotine is a powerful drug that makes people become addicted to smoking. It has been shown to contribute to high blood pressure and arteriosclerosis, that is, hardening of the arteries. In terms of blood pressure, every time you light a cigarette, the nicotine causes your blood pressure to increase because it causes your blood vessels to constrict or narrow. It also boosts your heart rate, making your heart work harder to do its job, that is, pump blood efficiently. A diet high in cholesterol can cause arteries to narrow due to the cholesterol forming plaque and narrowing and hardening the arteries as well. If the blood supply to the heart from one of the coronary arteries becomes blocked, it can lead to a heart attack. A heart attack can led to damage to the heart and perhaps even death. Carbon monoxide from cigarette smoke also makes your heart work harder because it replaces some of the oxygen you are supposed to be breathing in to keep your body healthy. Your arteries carry oxygen-rich blood from the heart to all parts of the body. However, if the blood is carrying less oxygen and more carbon monoxide, it is like slow suffocation. It makes your heart work even harder to supply the oxygen your body needs to keep all the tissues healthy. Carbon monoxide affects everyone in the immediate area around the smoker, so if you care about your health, quit, or take it outside so you don’t make others ill with second-hand smoke. It will be tough, but so worth it. Quit smoking and see what a difference it can make to your health. Your heart is the most important muscle in the body. In order to stay healthy, it needs to be worked out just like the rest of your muscles so it does not get weak. The current recommendation for all adults is 250 minutes of aerobic exercise per week over most of the days of the week, that is, about 35 minutes per day. Aerobic activity can be defined as anything that raises your heart rate and causes you to feel breathless but not gasping for air. Many of us lead sedentary lifestyles, stuck at a computer all day, and parked on the sofa or in front of the computer at night for entertainment. Most of us hate the idea of a gym and having to get tired and sweaty working out there. The truth is that you can exercise almost anywhere, and some of the most effective methods won’t make you perspire and can actually be fun. For example, walking more at a moderate to brisk pace will work all muscle groups of the body, you won’t have to sweat buckets, and you can choose a variety of settings to walk in, from your local outdoor track or park to various beauty spots. If the weather is bad, try a mall. Don’t bring the wallet, though, if you want to keep your finances healthy. If you live near a pool, try swimming. If you live near a YMCA, they will often have a pool and a range of exercises classes. These might include water aerobics, in which you use the weight of the water to give yourself a better workout. The list of classes will also be sure to include aerobics of all kinds, from low intensity to step. There will also be spinning, that is, cycling, and dance classes that range from ballet to the more fast-paced zumba. Don’t have a Y near you? Look for local gyms and classes. Rent or stream DVDs and work out yourself, or get the other members of your family up and moving. A Wii system can be the perfect way to do this, with a range of exercise and dance activities. Exercise also relieves stress and is a mood enhancer as well. If you’ve been struggling to get through the day, add exercise to your routine and see what a difference it can make to your overall health. We’ve all heard the word cardiovascular, but what does it actually mean? Cardiovascular disease is another term for heart disease. “Cardio” means heart, and “vascular” refers to the blood vessels, also known as your circulatory system. 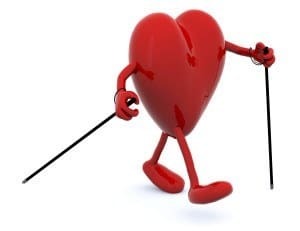 Cardiovascular disease (CVD) and coronary heart disease (CHD) are both used to describe health issues with the heart and particularly the arteries in the body, which supply vital oxygen to keep tissues alive and healthy. Cardiovascular disease can sometimes occur due to genetics, infection or age, but in many cases, it is the result of certain lifestyle choices, sometimes made when we were younger, which catch up with us and lead to heart health issues. For example, smoking tobacco, being overweight, eating too many fatty foods and too much dietary cholesterol can all put wear and tear on our bodies and lead to serious heart health issues. So too can chronic inflammation, that is, persistent irritation in the body, especially the blood vessels, which can be due to our diet and to our stress levels. People who adopt an anti-inflammatory diet will often find it helps their heart health as well. 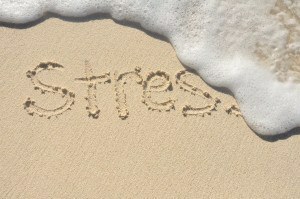 If they also take steps to lower their stress, they can often reduce their risk of a heart attack or stroke. Aerobics refers to working out your heart by elevating its rate enough to work the muscle to keep it healthy. Aim for 250 minutes per week of brisk walking, or try swimming, dancing or low impact aerobics. Add strength training such as yoga and light weights and you will develop lean muscle, which will boost your metabolism. All exercise burns calories. Exercising more will help you get your weight under control. So too will making smart food choices. Count calories to make sure you are not overeating. Counting carbs can also help with rapid weight loss, though it is a hard eating lifestyle to maintain long-term. High blood pressure (HBP) puts a lot of strain on the heart and blood vessels. Exercising and losing weight can help lower it naturally. Cardiovascular disease is the #1 killer in the US, so if you have been told by your doctor that you have problems, or are at risk, modify your lifestyle factors and see what a difference it can make to your health. Salt, commonly referred to as sodium of food labels, has been linked to high blood pressure (HBP). If you have HBP and want to lower it naturally, there are a number of effective ways to lower it without medications which have a risk of harmful side effects. Too much salt can cause your body to retain water, leading to HBP and weight gain. In case you are thinking that you never touch the salt shaker, the truth is that it is all around us in the foods we eat. This is because it is not only a flavor-enhancer but also a cheap and effective food preservative. So what can you do to lower your salt intake? Anything in a can or box in the supermarket will contain some form of preservatives. These are loaded with salt and in the case of cold cuts, many other harmful chemicals as well. Smoked items like meat, fish and cheese will all be heavily salted as part of the smoking process. So if you love salmon, for example, eat it fresh. Read the labels on these items in your house. You will probably be shocked at how much sodium they contain, even in the sweeter varieties of cereal. Avoid instant oatmeal for the same reason. Canned or instant soups are full of salt. Check the labels and note the number of servings, then multiply to get the total sodium in the can. Chances are you’ve been eating the whole can and going way above your daily allowance. For canned items you really can’t live without, such a tuna or beans like kidney beans, choose low sodium. In the case of the beans, rinse them well before using. When cooking, stick as closely as possible to fresh foods. The DASH diet, Dietary Approaches to Stopping Hypertension (the clinical word for HBP) was developed by government researchers to help people lower their blood pressure through diet along, not medicine. The success has been huge. The DASH diet is free online and also helps people lose weight as well. Now that you now about many of the hidden sources of salt in your diet, steer clear and see what a difference it can make to your health. High blood pressure has been associated with heart attack and stroke. Many people take medication to lower their blood pressure, but all medicines have a risk of side effects. Fortunately there are a number of natural ways to prevent high blood pressure, or lower it if it has crept up beyond the optimal level of 120/80. Try these and see what a difference they can make to your readings. Every time you light up, you are raising your pressure. The heavier you are, the higher your blood pressure. Carrying too many pounds around your middle, known as waist roundness, has been associated with high blood pressure and diabetes. Physical activity can keep blood pressure down long term and also help with your weight loss goals. Try walking, swimming and yoga. Drinking more than moderate amounts of alcohol can actually raise blood pressure by several points and has been associated with a range of illnesses, including diabetes, heart issues and even cancer. The one exception is 2 to 6 ounces of red wine per might for heart-healthy resveratrol but you can get this from grapes or grape juice too. It can raise blood pressure significantly with each cup of coffee or soda. You may think you don’t eat a lot of salt because you never touch the shaker, but the truth is that if you don’t cook from scratch yourself and don’t read food labels, you are probably consuming far more salt (sodium) than your recommended daily allowance. DASH stands for Dietary Approaches to Stopping Hypertension (the clinical name for high blood pressure. It was developed to help lower blood pressure naturally through diet alone. There are many free resources online to help you get started. If your pressure is high, consider investing in a home blood pressure monitor to help you keep track and see if one or all of these strategies helps you lower your blood pressure. Use 1 or more of these 10 tried and tested ways to lower your blood pressure naturally and see what a difference they can make to your health. There may not be much you can do about your heart attack risk if heart issues run in your family or you already have heart disease, but there are many natural ways to lead a heart-healthy lifestyle without drugs if you wish to reduce your risk of having a heart attack. The more you weigh, the more wear and tear on the body, including the heart. Regular exercise improves heart health and circulation. It can also help you lose weight. Current recommendations are 250 minutes a week of aerobic activity, that is, exercise which raises the heart rate, spread out over 6 or 7 days, plus 2 30-minute strength-training sessions such as light weights or yoga. The general recommendation is 2,000 calories for women and 2,500 for men per day. However, this does not take into account the age or activity level of the person. Eating 2,000 calories which are not burned leads to a gain of 1 pound. It takes 3,500 calories burned to lose that pound. Set a reasonable calorie count so you don’t starve and aim for filling foods that are high in protein. A diet too high in carbohydrates can also be dangerous. Carbs have been linked to Type 2 diabetes and even Alzheimer’s. Those with diabetes have a much greater risk of heart attack and other cardiovascular issues. Cholesterol is a natural substance produced by the liver that helps form cell membranes and certain hormones. However, too much of it in the diet can lead to hardening of the arteries. As the arteries harden and get narrower, the blood supply can get cut off to vital parts of the body, such as the heart or brain, leading to heart attack or stroke. Know your numbers, what they mean, and which heart-healthy foods you should add to your diet. Blood pressure causes wear and tear on blood vessel walls. Too much sodium can trigger weight gain and high blood pressure. If you smoke tobacco, stop. It has been associated with heart disease, lung disorders, and a number of different types of cancer. If you’re worried about your heart attack risk factors, try these simple changes and see what a difference they can make to your heart health. We all experience stress at one time or another, but we might not be aware of just how much it can harm our health until something serious happens. Stress contributes to inflammation, which is associated with a number of chronic illnesses, including cardiovascular disease and arthritis. Meditation is like a mini-vacation for the mind. Sit comfortably and close your eyes. You can then focus on your breathing, or empty your mind of all conscious thought. Yoga poses require concentration and therefore allow you to focus on other things besides how much you have to do each day. Sit in a quiet room alone and begin breathing exercises. You can also meditate as part of your practice. Ensure you eat three healthy meals a day, and skip the sugary snacks, which can trigger a sugar rush. Also try to avoid too much caffeine, which can put you on edge. Definitely avoid diet pills. They will make you jittery and can be bad for the heart. Exercise relieves tension and produces a calming effect. Walking 20 to 30 minutes a day can help you de-stress, especially if you do it at the end of the day to unwind before getting on with the rest of your evening. Sleep deprivation makes you struggle with the simplest tasks, which can lead to stress. Aim for 8 hours of sleep per night but no more than 9. Avoid sleeping pills as they can alter your chemistry and make you dependent and even more stressed feeling. 6-Don’t sweat the small stuff. Most of the things you worry about are really not the end of the world. Will you even remember them a year from now? If not, just relax. 7-Talk about the problems you are experiencing. A problem shared is often a problem halved. Spend quality time with friends or loved ones. If the issue is very serious, try talk therapy with professional. Keeping everything bottled up will only create more stress. Life is too short, and stress can definitely reduce it further. Nothing is more important than your health in body, mind and spirit. Try one or more of these strategies and see what a difference they can make to your health.